Here is a feature we have been excited to show. It won’t surprise any of you that diecast photography puts a hop in our step. Anytime a little creativity can creep into this hobby, we are all about it. Whether that be customizing, writing, or in John Falk’s case, photography, we want to celebrate it here. So today we feature the excellent photography of John Falk. 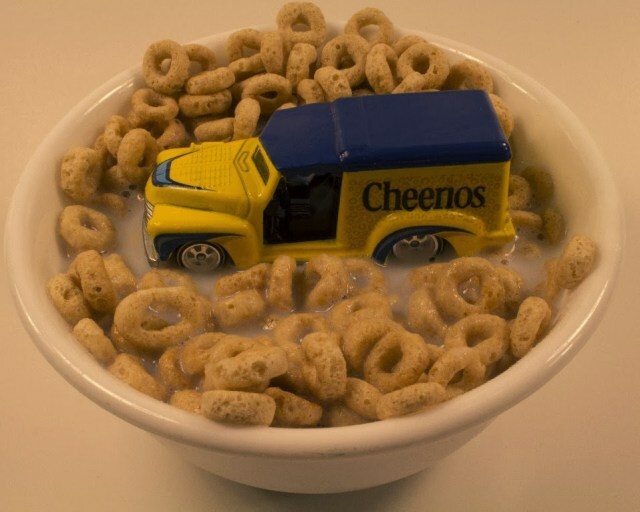 John has taken the most literal interpretation you can of Hot Wheels General Mills series , and created a truly unique pictorial. Got lost in a dream. Sorry. I am thrilled to contribute these photo's. I love being creative with my photography and this has been a way to have fun with these great cars. I have seen so much great photography on this site and I am pleased to be able to share my take on these nostalgia series cars. Great idea. The taco and cinnamon roll ones are my favorites. I wish I had some of those cinnamon rolls, boy. 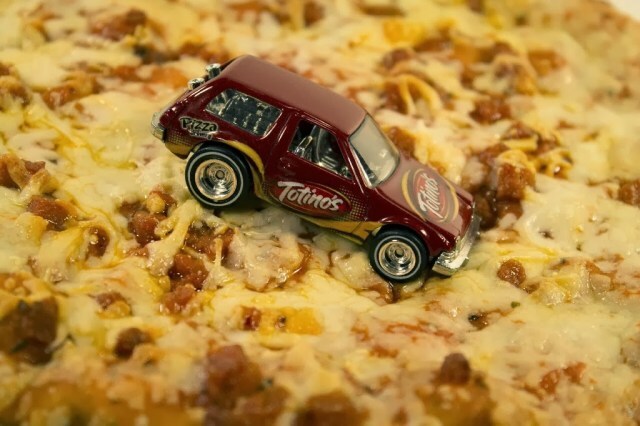 Also, you can never underestimate the addictive power of Totino's pizza. When you think you're too good for it, you'd be throwing down three boxes before you know it.